What does HVAC Manassas offer each customer? Licensed and certified, mostly all services warranty work. HVAC Manassas maintains a commitment to providing each customer, no matter how large or small, the same level of exceptional service. Whether you just have a worry about the level of freon or you we are installing you a brand new system you can rest assure that our commitment is to our superior work. We now offer 24-hour emergency services. Call us today for any issues. What are the terms of the 24-hour emergency service? It’s pretty simple. If you feel that there is something wrong with your unit feel free to contact us, outside of normal business hours, and we can see what we can assist you with. Just give us a call and one of our technicians will be there to assist you. What location does HVAC Manassas service? HVAC Manassas prides itself on representing the families and businesses of Northern Virginia. HVAC Manassas is confident in assisting with any HVAC need, big or small. The services we offer below are included, however, not limited. Please feel free to contact us with any HVAC needs, even if they are not listed below. Is preventative maintenance really required for my unit? In order to have your equipment, AC units, and heat pumps, to run optimally, especially during the vital season, summer and winter, it is especially important to make sure routine maintenance is done, at least once a year. With normal wear and tear from daily use, your system needs some TLC in order to ensure it will continue to keep you comfortable. The exception to the annual maintenance would be gas-fired equipment, which can maintain its maintenance every other year unless a specialist says otherwise. HVAC Manassas offers plans for loyal customers who strive to continue their comfortable way of life and keeping up with the maintenance of their unit. Call HVAC Manassas today for more information. What type of maintenance do you offer for air filters? 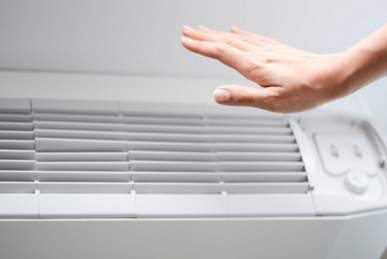 Have an issue or concern with air quality within your home or business? Call HVAC Manassas to come out and investigate for you. Air quality is detrimental to one’s quality of life and continuing to avoid health related concerns. At HVAC Manassas we are always committed to ensuring that you will receive the same quality work from our technicians even with air filter check-ups and changes. To get more information about air filters click on the blog link for more information. What specials/rebate offers/ promotions/coupons do you offer? A question that is always brought up for savvy, well-informed consumers, is the cost of the services being provided. We do offer promotions and rebate offers and will be able to discuss your service needs, along with matching you with our best-priced offer. Again, we pride ourselves in offering you the best services available and do not cheapen our services, even with an offered promotional pricing. Our customers who are already committed to our service plans offered receive additional benefits for being loyal customers. One of HVAC Manassas’s staff or technicians can explain in more detail what is offered. What form of payments do you offer? HVAC Manassas takes most forms of payment and also offer customer other options for assisting in making payments for larger jobs. If more information is needed our staff will be willing to assist and go over what plan may work for you.